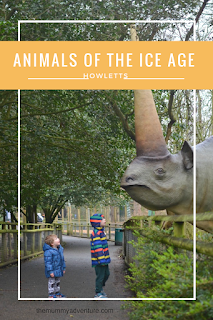 Many zoos and wildlife parks seem to be expanding with new Dinosaur areas, but Howletts near Canterbury in Kent has created an Animals of the Ice Age walk featuring the creatures that walked the earth after dinosaurs and we were invited along for the day to take a look. 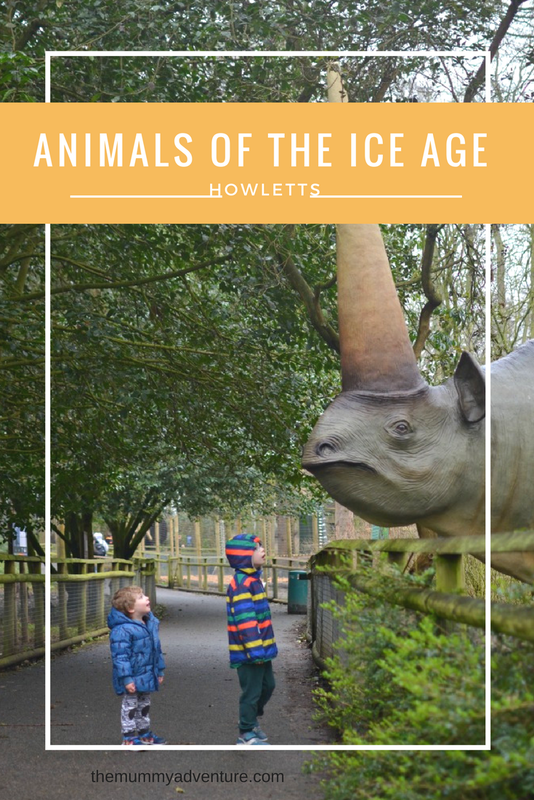 I visited Howletts often as a child but I don't remember the last time I was there so I was excited to see if it was the same as I remembered it. 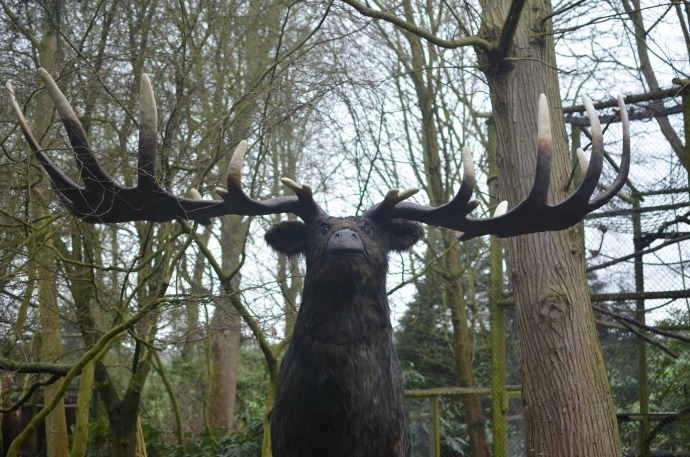 We didn't pick the best day to visit, but it was dry when we arrived and we decided to go and find the ice age walk straight away. Howletts is one of very few wildlife parks that has elephants and they were clearly in a playful mood when we arrived as we could watch the younger ones play fighting and teasing each other. The animals of the ice age walk is situated right next door and we were given books at the front desk to help us explore the area. Unfortunately we completely forgot to take them out the bag but next time we will as they look perfect for my six year old with challenges to draw, right and puzzles to complete as you walk through the area. 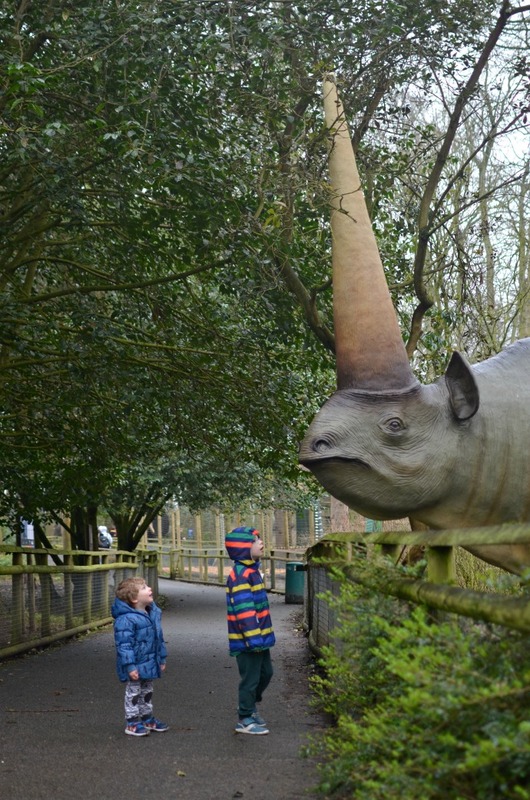 The ice age starts where the Jurassic period (which you can walk through at the sister park Port Lympne) ends and along the walkway we could spot little and large creatures as well as living animals too. Many of them resemble the animals we know and love like elephants, rhinos and anteaters but the size and shapes were different and each one came with a board giving us help on how to pronounce each name and a few facts about the animals. It was the perfect size for my six year old to digest and easy enough for him to read. He has been learning about herbivores and omnivores at school and loved that each board had this information. 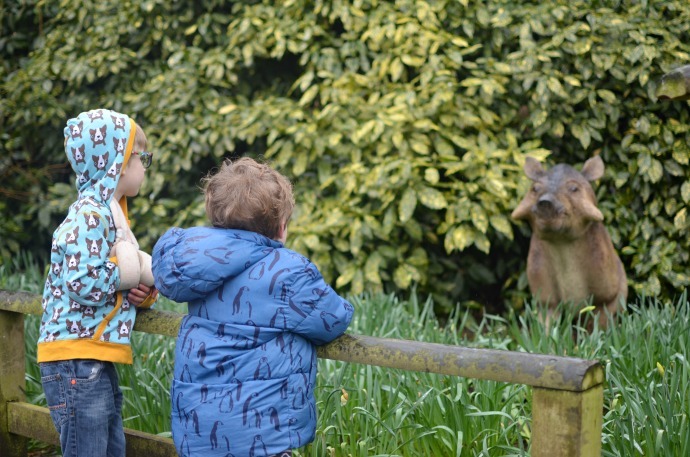 The little ones were excitedly running between the animals amazed at the size and pointing out familiar features. 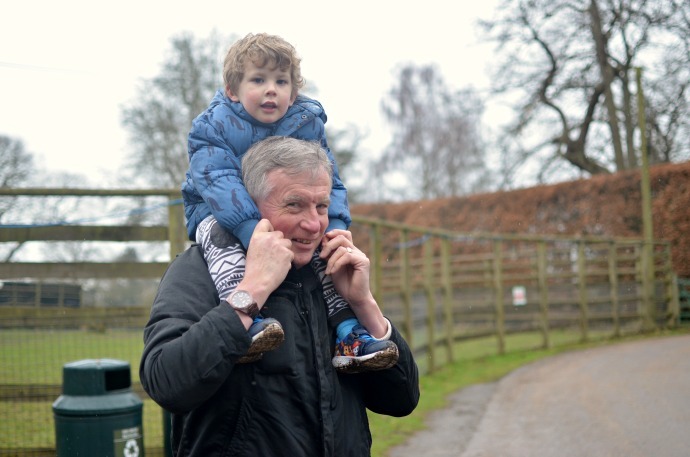 We had brought Grandma and Grandpa along for the day and the children couldn't stop telling us all about the animals. Towards the end of the walk there is one with a huge horn coming out the top of his head which was definitely a big hit and some of the animals were situated close enough to the barriers to be touched. 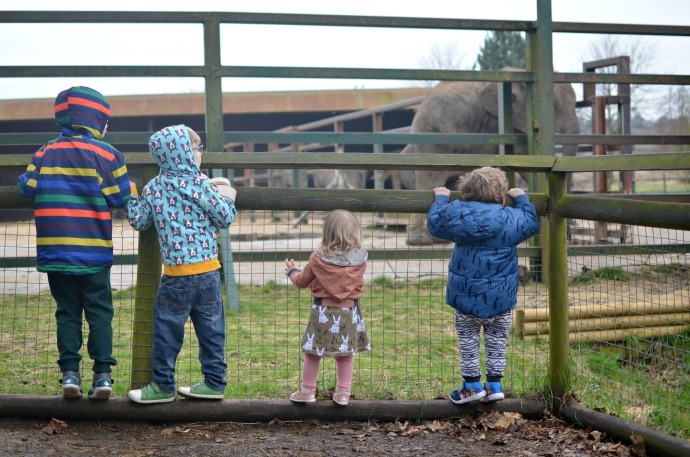 The woolly mammoth was indeed woolly and the children loved feeling the fur. 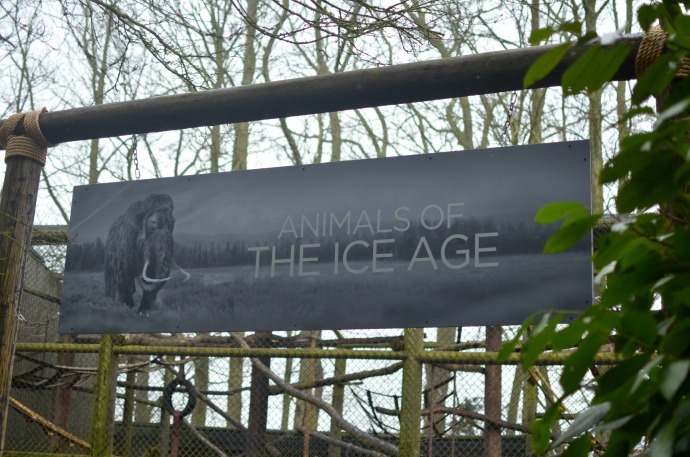 It wasn't long after the animals of the ice age walk, or possibly during it that it started to rain and it only got heavier as the day went on. 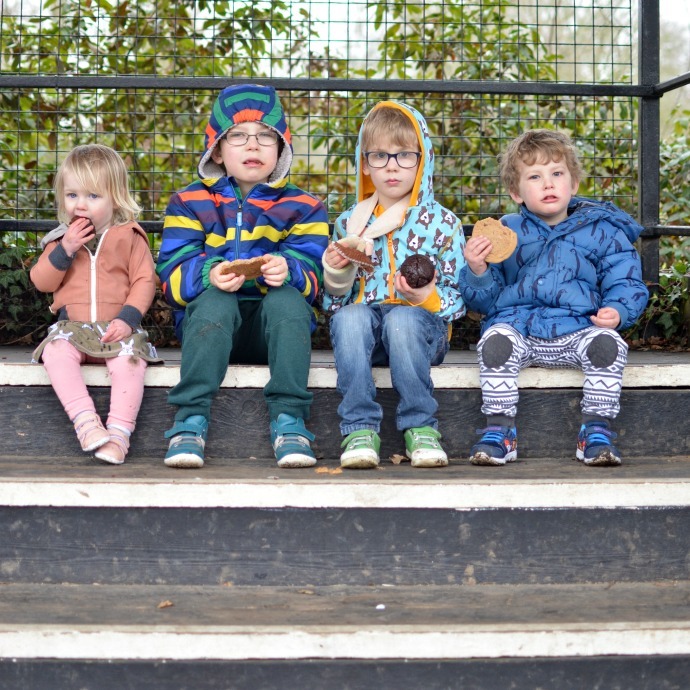 Of course I am that unprepared mum who just told the children to put some shoes on so none of them were in wellies. My coat didn't have a hood and none of us had umbrellas. Many of the animals seemed to be hiding away to escape the rain and we didn't blame them, but there were a few that just weren't bothered and as the park was quiet we got great views. 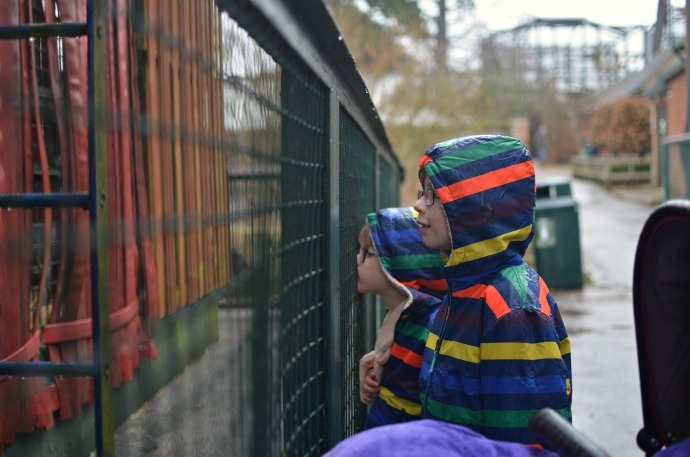 The tiger was on top form and we loved watching the lemurs feeding. 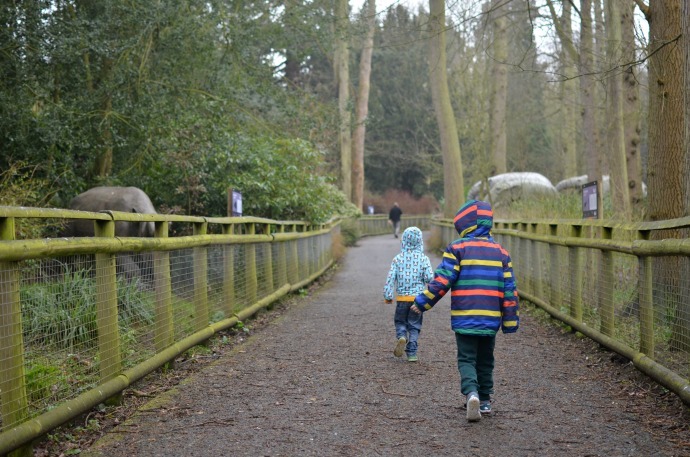 The gorillas were fascinating to my mini monkeys and the elephants were great fun to observe. 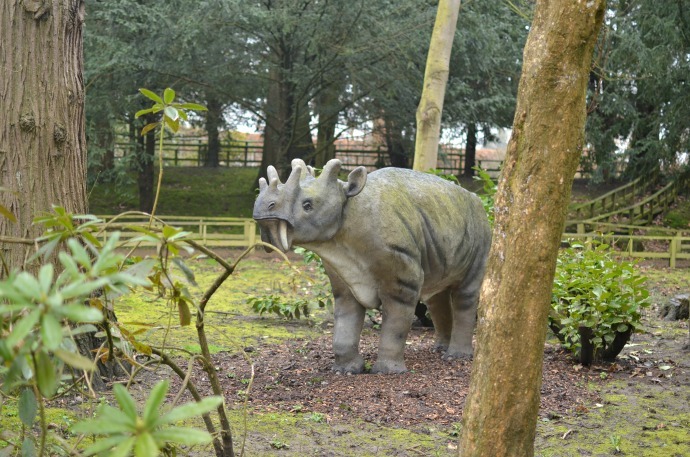 The ice age walk was definitely the highlight of our day though and the good thing about model animals is they are always exactly where they should be! As much as we love dinosaurs, and we really do, it was really fascinating to learn about a different era that we know much less about and the exhibit is unique and fun for children and adults of all ages. My camera was hastily hidden away when the rain started gushing but I got a few pictures before hand. 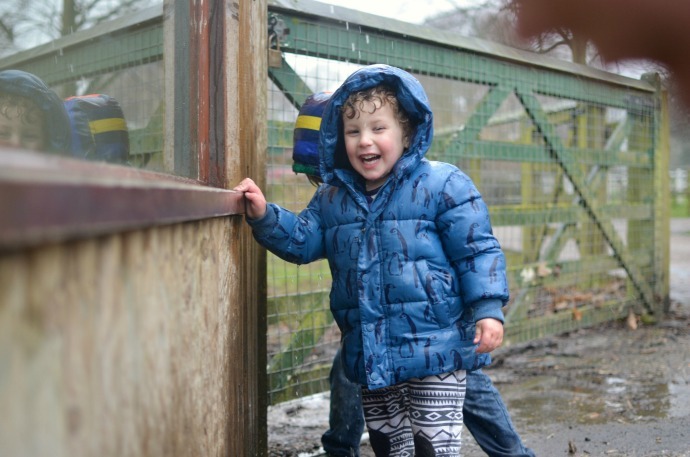 On a seperate note if you have children that love muddy puddles then bring wellies as Howletts is great for splashing as the three boys will tell you! 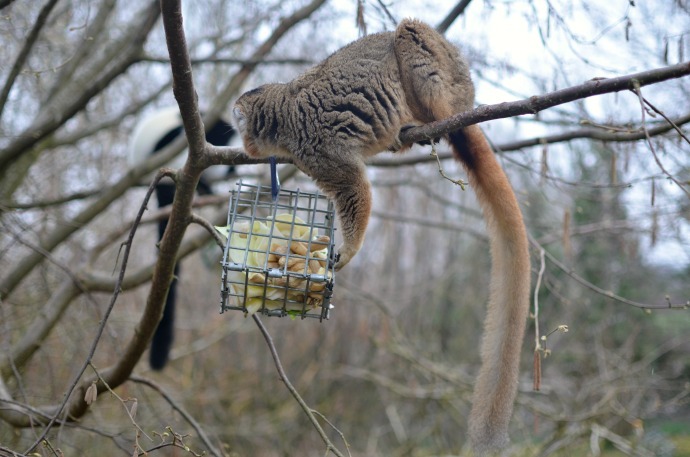 Thank you to Howletts for hosting us for a fun day, the kids thought it was fantastic even in the rain and have asked to go back again over Easter! I am definitely up for it as long as it is a little drier!